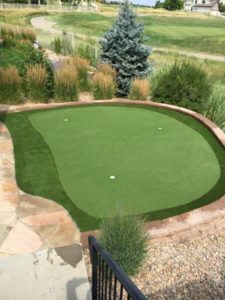 When you choose ProGreen’s low maintenance artificial putting greens, you will get to enjoy a realistic surface quality and performance with custom breaks and elevations in your backyard. It will make practicing your putting much easier, convenient and fun. Instead of practicing your short game once or twice a week, you can now work on your short game daily. Click Here to see the different Artificial Grass Golf Putting Greens that we have to offer. We believe you will find ProGreen’s artificial putting greens to be the ideal choice to natural grass. It has a natural look, realistic roll and ball bounce similar to the putting green you use at your golf course. 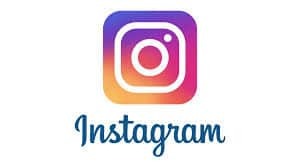 Plus, their synthetic grass is easy to maintain and it does not require the extensive time of natural grass, therefore helping to reduce water usage since no regular irrigation is required. While many of our competitors in Denver, and Douglas County are continuing to use the same system we did 10 years ago, Progreen continues to improve their artificial turf technology to ensure optimal performance for its customers. ProGreen’s high-quality products and service standards have elevated the company to national recognition. ProGreen has been producing and installing synthetic grass from start to finish in their own facilities in the USA for 30 years. We chose to be a dealer for them because of their high quality, durability and reliability for our customers to use year round.